In many situations in which short-term security requirements must be met a rapid application of video surveillance systems is of vital importance. The PKI 5455 solves all these problems at a stroke. The autonomous, rapidly applicable, rugged and well secured container is equipped with a pneumatic telescopic mast with a height of 6 m and disposes of 230 V power supply connections with inverter, standby power supply via a 1000 Ah battery as well as cameras and recording devices. 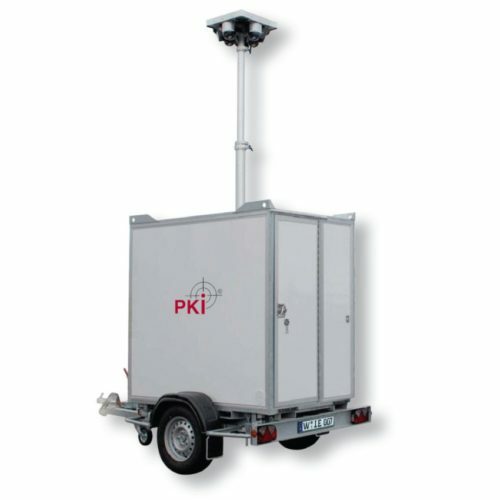 The whole surveillance unit can be easily relocated together with the trailer.